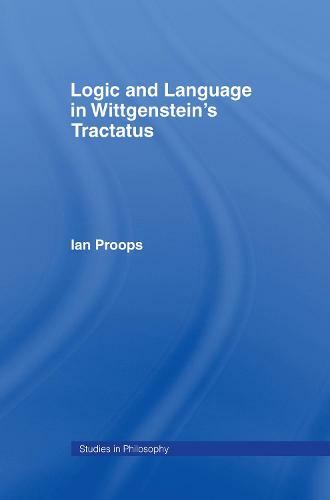 This historical study investigates Ludwig Wittgenstein's early philosophy of logic and language, as it is presented in his Tractatus Logico-Philosophicus. The study makes a case for the Tractatus as an insightful critique of the philosophies of Bertrand Russell and Gottlob Frege-the Founding Fathers of analytic philosophy. "There are many useful discussions here. Proop's account of logical constants as "operations" (10-17), his investigation of the Russellian origins of Wittgenstein's talk of the "verb" of a proposition" (33-37), and his classification of problems labeled "justification of deduction" (77-80) are especially valuable. "The Philosophical Review Vol. 111, April 2002."